Novartis’ Gilenya pill has a new multiple sclerosis use in the US, after the FDA said it can be used for children and adolescents with relapsing forms of the disease. Gilenya (fingolimod) has many competitors in adult MS, but has become the first disease-modifying therapy indicated for MS patients aged 10-18 years. Oral MS therapies have proved popular with patients who favour medicines taken in pill form instead of injections. The FDA allowed the new use based on the results of the PARADIGMS phase 3 study of children and adolescents, where Gilenya reduced the yearly relapsed rate by around 82% compared with injections of interferon beta 1a. 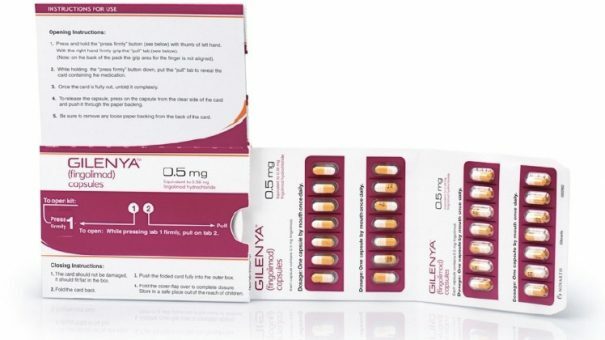 Gilenya has been approved since 2010 for patients aged 18 years and older with relapsing MS, where its closest competitor in adults is Biogen’s oral MS drug Tecfidera (dimethyl fumarate). Already a blockbuster, Gilenya posted sales of $821 million in the first quarter of 2018, although Tecfidera has the advantage with sales of $987 million during that period. Gilenya was granted Breakthrough Therapy designation by the FDA in December 2017 for this paediatric indication. While MS is mostly diagnosed in adults, children and adolescents with the chronic disease often experience more frequent relapses and brain lesions than adults with MS.
Biogen is also trying to develop Tecfidera in paediatric MS, but results of its phase 3 trial are not due for another two years. The safety profile of Gilenya in this study was overall consistent with that seen in previous clinical trials in adults. While more adverse events (AEs) were reported in the interferon beta-1a group, severe AEs were reported at a higher frequency in fingolimod-treated patients.